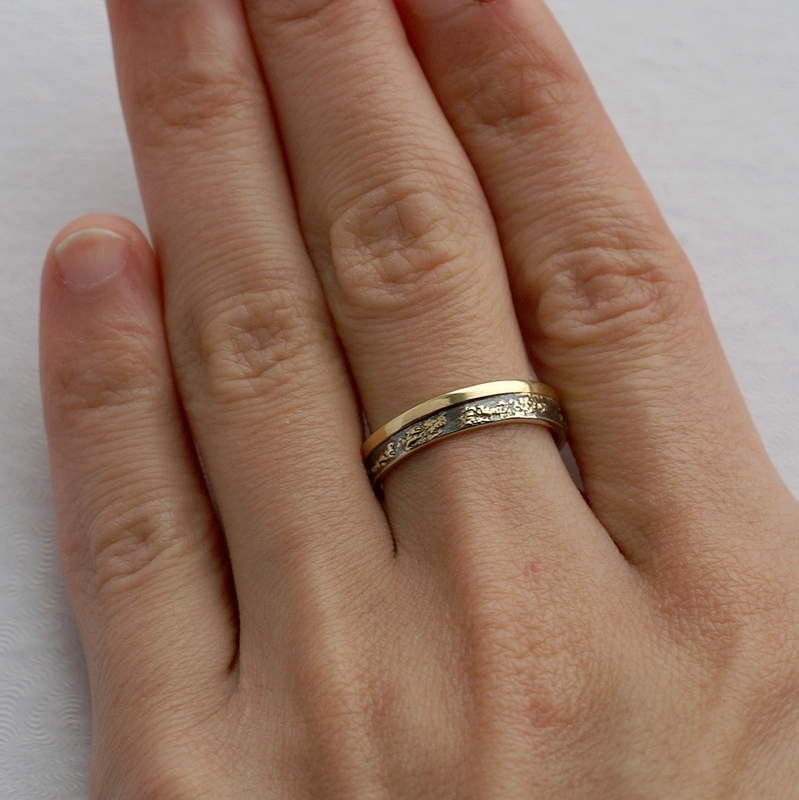 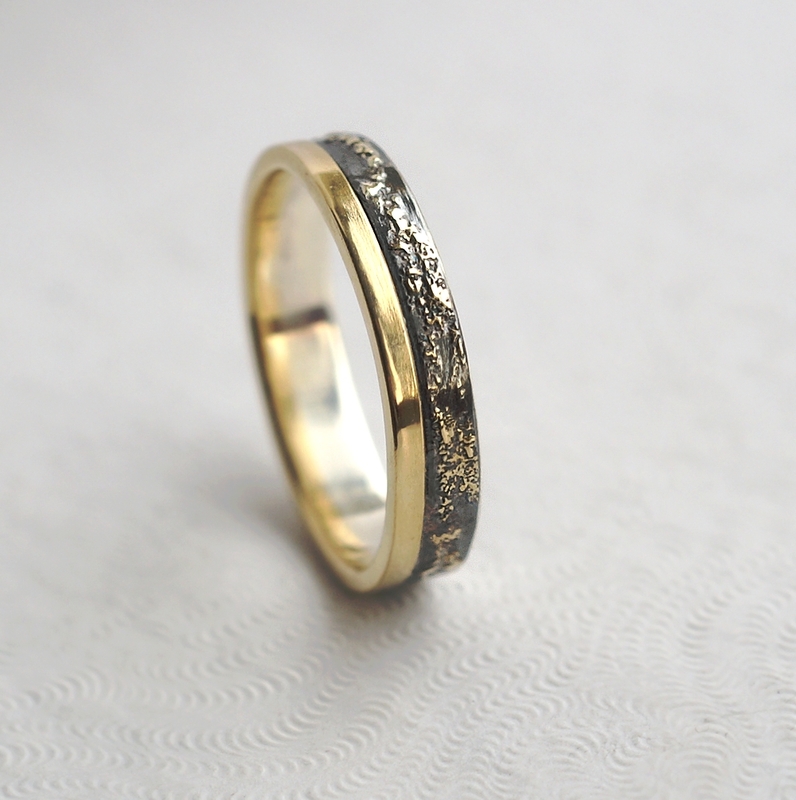 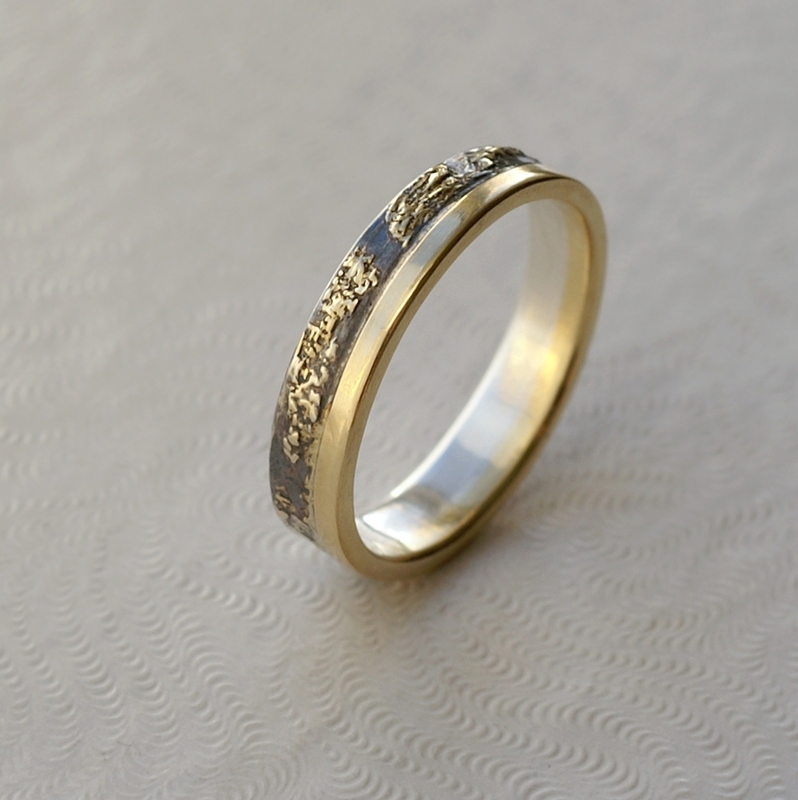 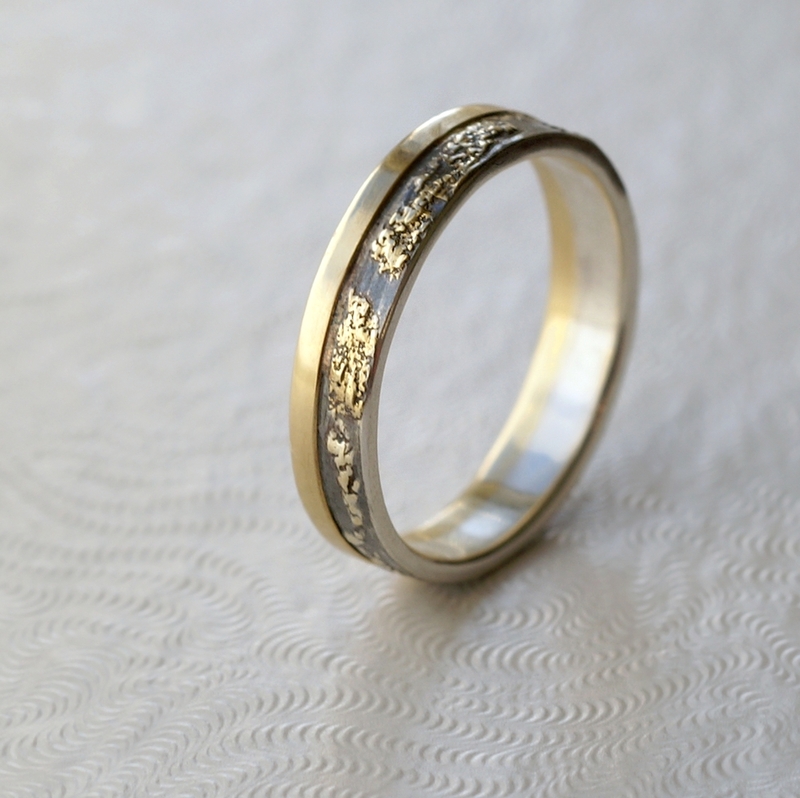 Sterling silver and 18k solid gold wedding band. 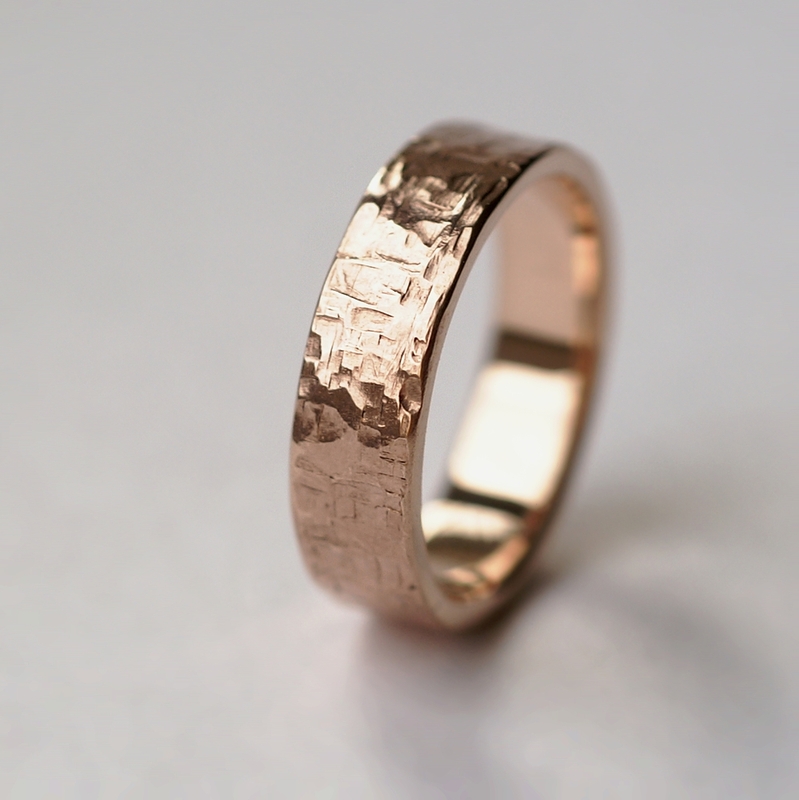 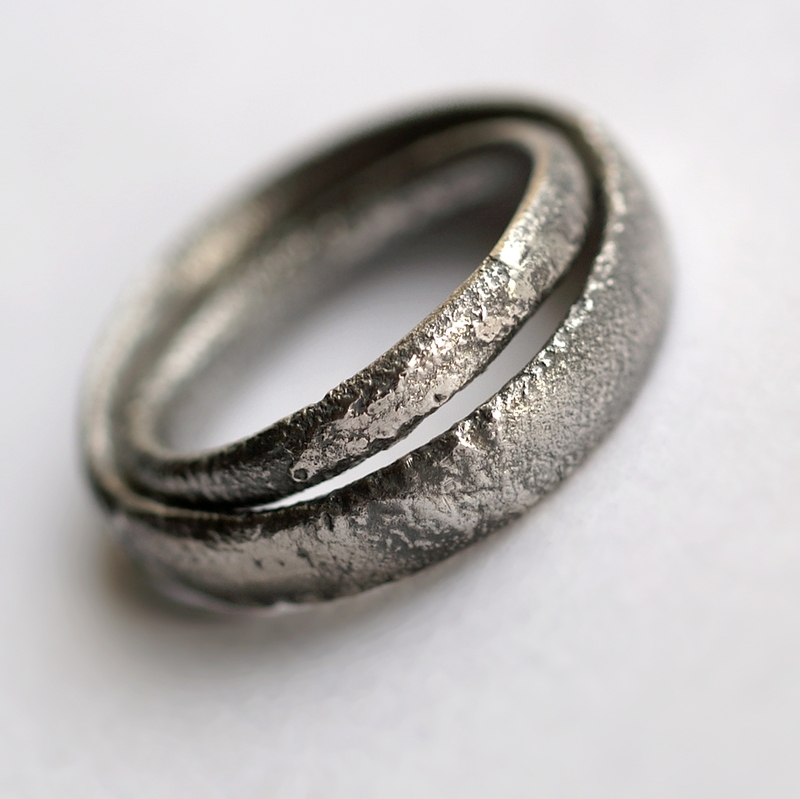 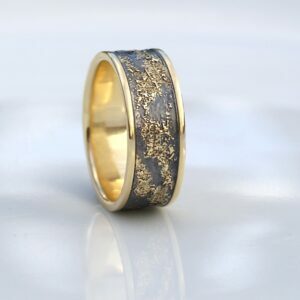 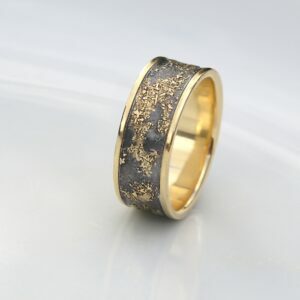 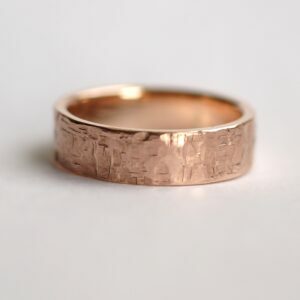 Unique wedding band made with my Gold Chaos technique. 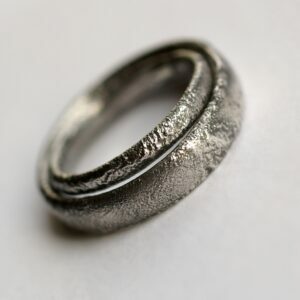 Works well as both men’s and women’s ring. 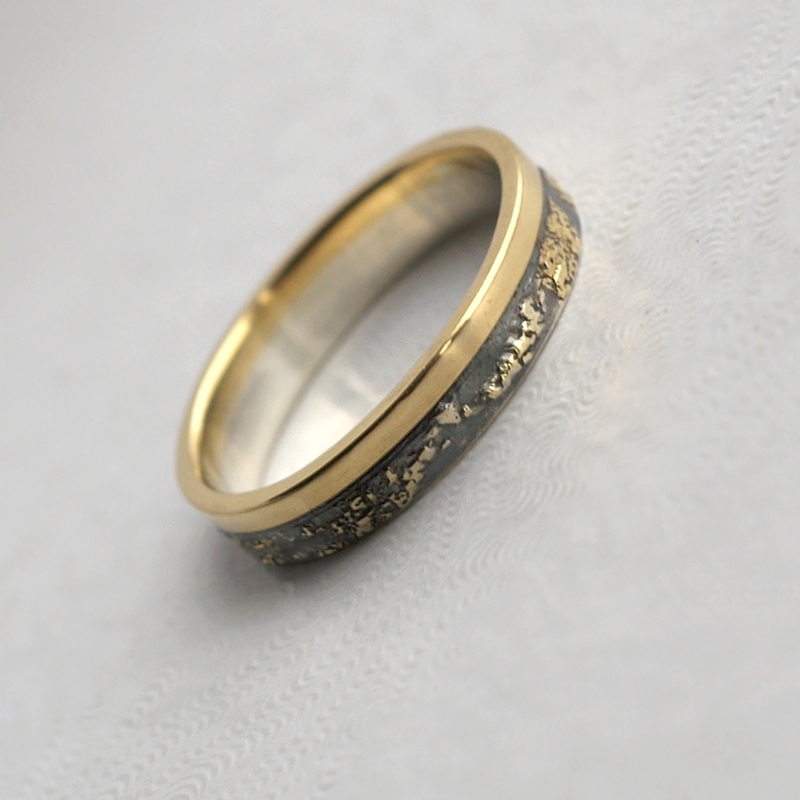 Gold edge is 1.5 mm wide.